Lusin is using Smore newsletters to spread the word online. Hello welcome to my smore I am learning about volcanoes hope you like it. Big hot volcano that is red and it is exploding. What happens in a each step of a volcanic eruption. Form,a mountain and volcano is formed the same way.Firstly tectonic plates slips and makes an upper mountain. 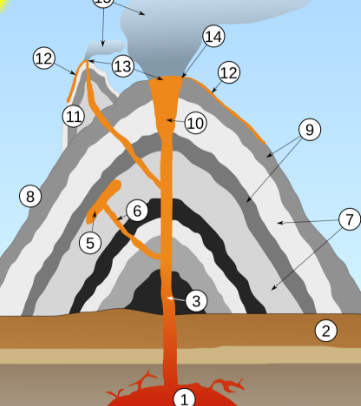 Next,lava turns into magma.Magma is underground it is molten rock then it turns into a liquid. Then, ash clouds appears a few hours before it erupts. Ash clouds are very dangerous because you can die if you breathe it. 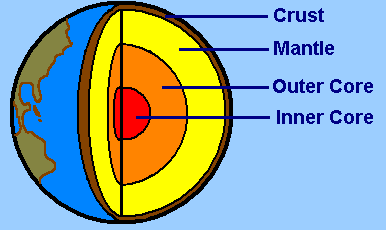 Molten rocks are rocks that are lava but solid not liquid .The molten rock is very hot. Lastly... BOOM lava comes out and melts everything.Also stay away from Volcanoes and lava because it is very dangerous. 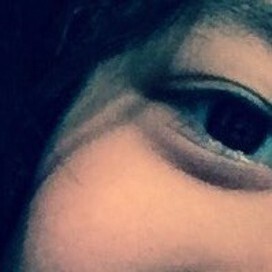 After the volcano erupts it will smoke and go to sleep for a long time! So, that is the six steps of the volcanic eruption hope you like it. Volcanoes are awesome manifestations of the fiery power contained deep within the Earth. These formations are essentially vents on the Earth's surface where molten rock, debris, and gases from the planet's interior are emitted. When thick magma and large amounts of gas build up under the surface, eruptions can be explosive, expelling lava, rocks and ash into the air. Less gas and more viscous magma usually mean a less dramatic eruption, often causing streams of lava to ooze from the vent. The mountain-like mounds that we associate with volcanoes are what remain after the material spewed during eruptions has collected and hardened around the vent. This can happen over a period of weeks or many millions of years. A large eruption can be extremely dangerous for people living near a volcano. Flows of searing lava, which can reach 2,000 degrees Fahrenheit (1,250 degrees Celsius) or more, can be released, burning everything in its path, including whole towns. Boulders of hardening lava can rain down on villages. Mud flows from rapidly melting snow can strip mountains and valleys bare and bury towns. Ash and toxic gases can cause lung damage and other problems, particularly for infants and the elderly. Scientists estimate that more than 260,000 people have died in the past 300 years from volcanic eruptions and their aftermath. Volcanoes tend to exist along the edges between tectonic plates, massive rock slabs that make up Earth's surface. 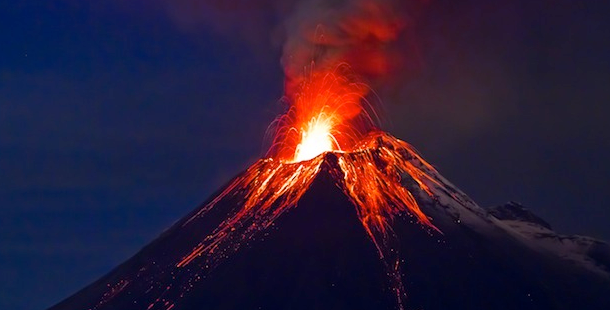 About 90 percent of all volcanoes exist within the Ring of Fire along the edges of the Pacific Ocean. 1.Volcanoes can melt your homes,towns,cities and kill people also make statues that will be there for lots of days,weeks,months or even years! 2.A tsunami can wipe out cities and farms. 3.Volcanoes can stop you going on a trip. 1.After volcanoes erupt they make bring rich soil to make healthy plants. 2.Tsunamis help farms grow healthy plants and crops.Because it is water and plants and crops need water. 3.Earthquakes help destroy houses and cities they don't need.